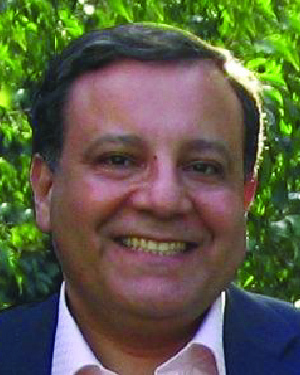 Mr. Hani Ayad is a distinguished alumnus of the College of Design, earning his master of architecture degree in 1984. Mr. Ayad is vice president of design and destination planning worldwide for Orascom Development headquartered in Cairo, Egypt. He has provided critical leadership and creative impetus for Orascom to assemble a variety of distinguished design teams from the U.S., Italy, England, Egypt, Switzerland, France, and Tunisia. He has advocated the concepts of sustainable development and sustainable tourism, as well as local community development. He has worked for more than two decades to establish many successful destinations both nationally and internationally. Mr. Ayad grew up in Egypt, where he received his undergraduate education in architecture, coming to the University of Minnesota for a graduate degree and to subsequently work at several important firms in the Twin Cities, included Kodet Associates and Ellerbe Becket. It is clear that he valued his time at the University and Minnesota. He has maintained a membership in both the American Institute of Architects (AIA) and the Minnesota chapter of the AIA. Because of his experience in Minnesota he has been able to straddle Middle Eastern and U.S. cultures. This has suited him well as he has led Orascom in the creation of communities that accommodate people of diverse backgrounds, nationalities, and religions. At a time of great strife in some Middle East countries over the questions of diversity and tolerance of difference, Mr. Ayad’s resorts show how people from various parts of the world can live together in a setting that both responds to the local culture and climate while accommodating the needs of many different people. When he returned to Egypt Mr. Ayad brought his experience with large-scale projects to his work for Orascom Development. He has had responsibility for some of the largest and most important projects of their kind in the Middle East, using some of the best design talent the world has to offer. His leadership extends beyond his ability to hire some of the world’s best designers; he excels at managing and inspiring them to create some of the world’s bests resorts. Mr. Ayad has used his position to demonstrate the reality and importance of sustainable development. The resort communities he has helped develop embrace many of the very best practices of environmental design, using traditional means of living in arid climates to ensure that the communities he develops remain responsive to the needs of their residents and visitors as well as to the needs of the ecosystems in which the resorts stand. In naming Mr. Hani Ayad as a recipient of the Distinguished Leadership Award for Internationals, the selection committee cited his ability to work across cultural barriers and to show, through his example, what is possible in the world in terms of multi-cultural physical environments. Mr Ayad’s ideas and concepts are well respected and he has earned an outstanding international reputation as an architect and a leader with global developmental vision.